Specific Step offers quick, safe, reliable and convenient recharge solution. We provide online recharge for prepaid mobile and DTH service providers as well as bill payment for mobile service providers in India. It is a very easy way to recharge by using only one SIM and only one mobile handset. With Specific Step, mobile recharge option is available 24/7. 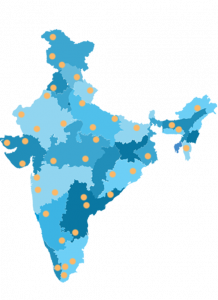 Currently we provide services to India’s top cellular services like Airtel, Reliance, Aircel, Idea, Cellone, Vodafone, Tata Indicom, Uninor, Virgin Mobile, MTS, RIM, Dish TV, Tata Sky, Reliance TV and many more. Along with GSM, our mobile recharge service is also available for leading CDMA prepaid cell phones. API means Application Programming Interface. It is a specific step of norms which are understood and engaged but the software which conduct two-way communication. Due to advanced use of technologies, API is widely used in many business transactions. Specific Step offers various types of API mobile recharge packages and our clients consider us the best API recharge solution provider at present. We put all our efforts and use latest technological trends to achieve this. Get an Inquiry for Mobile Recharge Service! Online recharge API allows you to get the recharge done in just one click. We will provide you a code which you need to add to your website’s code. You will have to place your recharge orders for various operators on an interface page and range from Rs 10 to Rs 5000 will be demonstrated there. The recharge gets processed and the amount gets deducted from your wallet. You can also view your available balance, recharge history, commission earned and the status of recharge on your wallet page. Loading cash is easy as well as instant and can be done any time with Specific Step. You get best commission rate here and the peace of mind of using a safe and secure service provider. Developers can help make different web pages for different API like travel, weather, money transfer, online recharge, bill payment, DTH recharge, hotel booking, flight ticket booking, movie ticket booking and many more. If you are a mobile recharge service provider under Specific Step, your working capital will be based on your daily transactions. Our service is reliable and faster. With B2B retailer wallet you do not even need to enter your card number or bank details. Enjoy the fastest and safest mobile recharge service by downloading our “my recharge” app. At Specific Step, we provide unique and reliable recharge service which will help you get established as a financial service provider and keep your customers away from your business rivals. Conceived to deliver a simplified recharge experience online, we have been able to have secured direct relationship with service providers. Hence making the recharge experience reliable, instinctive, secure and seamless for our users.